Designed to fit a standard Heras Fence Panel (3.5m x 2m), our PVC Mesh Heras Fencing Covers are custom-made from a 330gsm exceptionally lightweight and high-quality PVC Mesh fence cover fabric to reduce wind loading. Full colour printed using UV ink technology for vibrant, hard-wearing and weatherproof performance. Complete with strong stitched hems and metal eyelets for easy fixing using cable ties or bungee clips. These banners look superb. Easy to order, fast delivery and really well printed. Many thanks. We received our banners within a few days of ordering. Very colourful and really well made. Appreciate the help with our artwork. The final banners look amazing. Superb quality at a great price, much stronger than the ones we have had before from another supplier. PVC Mesh Heras Fencing Covers allow users to cover an unsightly or private area whilst advertising brands and events with maximum impact on prime advertising space. 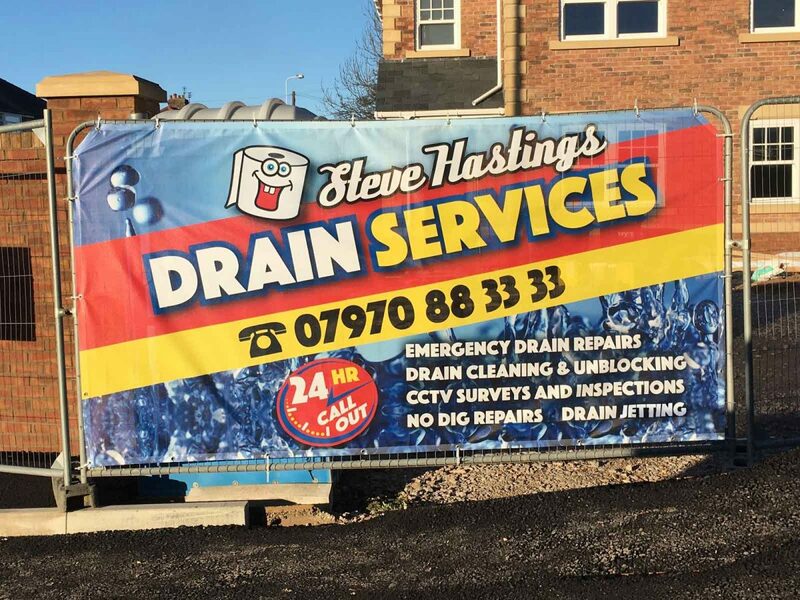 Unlike other advertising banners and signage, Heras Fence Covers rarely need planning permission in city centre locations. Whilst hoarding panels are generally a one-off use product, Heras Fence Covers can be used again and again on multiple sites. 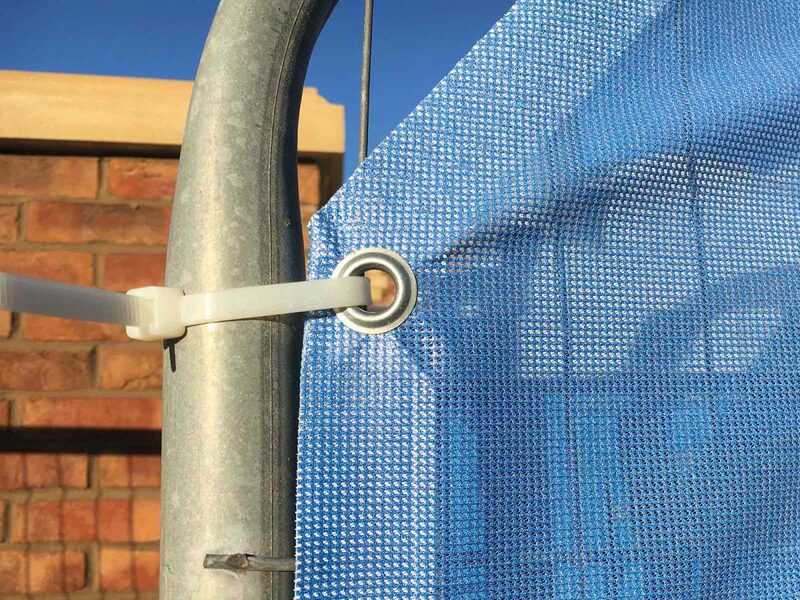 Heras fence banners are typically installed using plastic cable ties. IMPORTANT: Some heras-style fence panels may vary slightly in size. 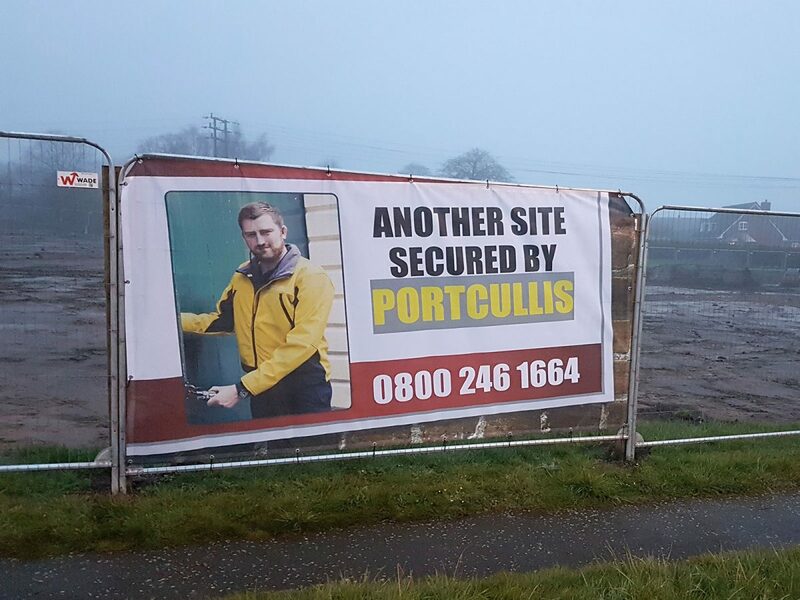 Please check the size of you panels and advise accordingly if different from 3.5m x 2m. Custom sizes are available, see our PVC Mesh product page. We can supply as individual fence panels or as continuous lengths to wrap around an entire perimeter in one go. 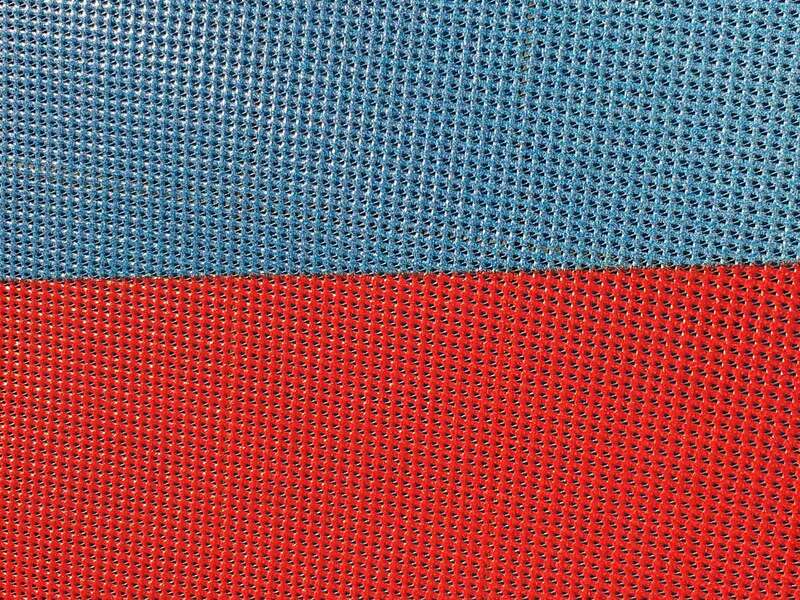 Finished Heras fence cover 3380mm x 1770mm, designed to fit a standard Heras Fence Panel of 3500mm x 2000mm. How do I fit these banners? 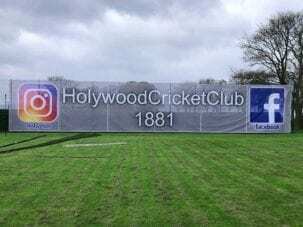 Heras fence banners are finished with hems and eyelets. Fitting is best done using plastic cable ties. 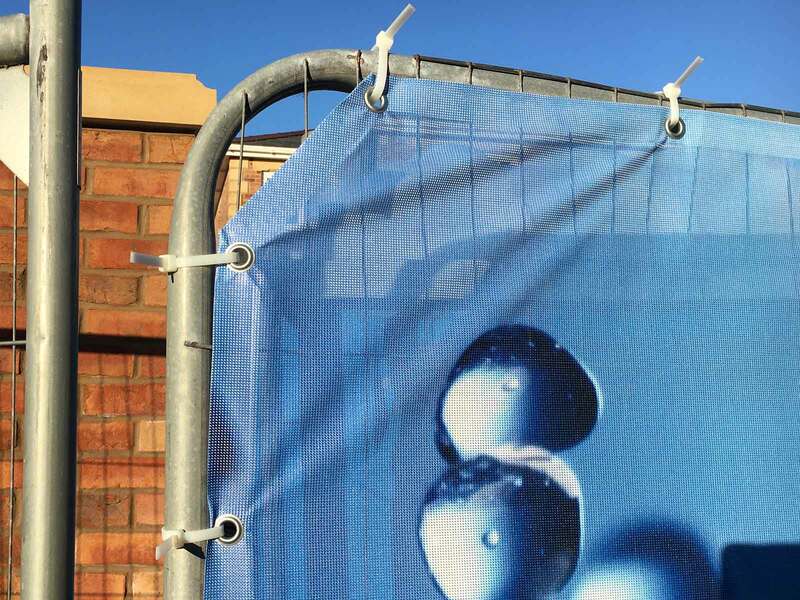 If fitted correctly and tensioned, your mesh heras fence banners will last a considerable time. Our inks are fade-proof and the material is both strong and waterproof. Our finishing is done to the highest industry standards. Can you print any design? Yes, we print in CMYK four-colour process. This includes photographs, images and text. Your design should be sent as a PDF high resolution file.